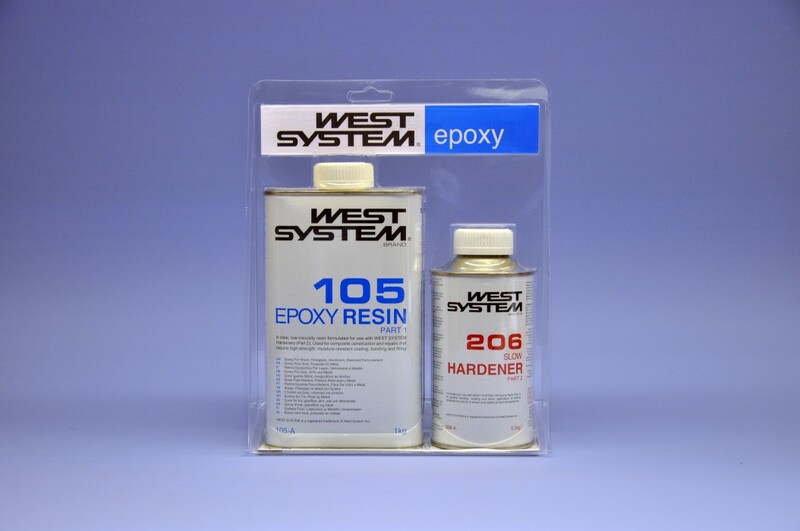 The basic ingredient for all our epoxy compounds is our renowned WEST SYSTEM 105 Epoxy Resin®. It cures over a wide temperature range with one of four different WEST SYSTEM® hardeners. 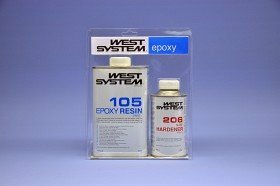 By combining 105 Epoxy Resin with various hardeners and fillers, it is easy to modify the WEST SYSTEM formulation to suit an extremely wide range of working conditions and applications. 105 Epoxy Resin – the starting point for all applications - can be mixed with a hardener and cured in a wide range of temperatures to form a high-strength solid with excellent moisture resistance. By selecting the right hardener, this cured epoxy resin-hardener mix can be used be bond to a wide range of materials. WEST SYSTEM hardeners offer different curing speeds and physical properties so you can create the best formulation for your project.